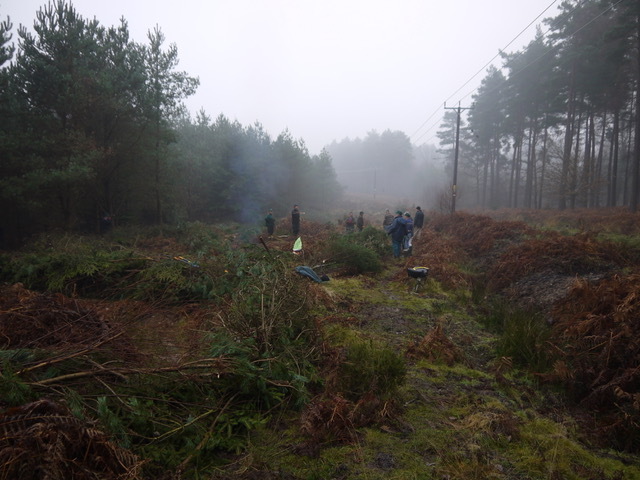 It was a really cold and foggy day at Moseley Green but a large team turned up, Our FC contractor had been through and cut down a lot of the firs adjacent to the small stream which is a vital breeding ground for the Small Pearl Bordered Fritillary. Opening up the area will provide better access for the butterfly corridor. 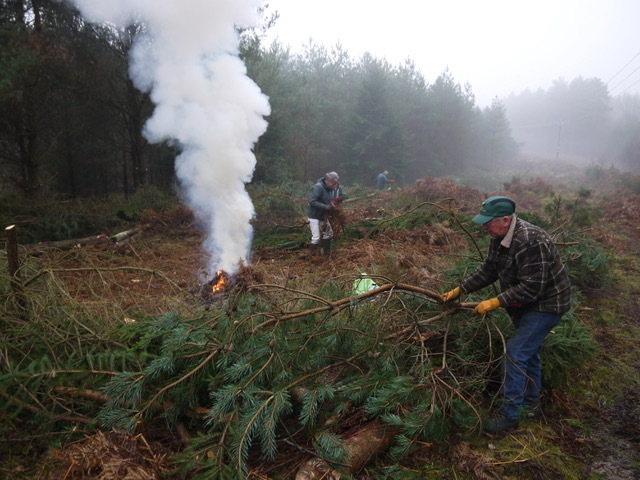 Although we had a small fire, most of the tree remains were built into 'garden' sized blocks. We have planted Marsh Violets here in previous years and we are hoping that they will survive in the plots which should keep the wild boar away. 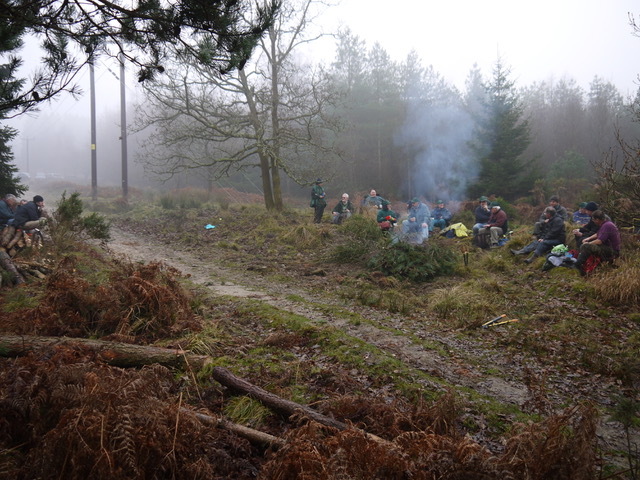 It was quite a long stretch alongside the stream which has now been cleared.